Where do I begin to tell about my art journey. I could go way back to when my grandfather (an architect) gave me pencils and paper and told me to go draw. I don’t know whether that was to encourage my talent or to keep me away from his blueprints. It was the beginning of my love all things creative. 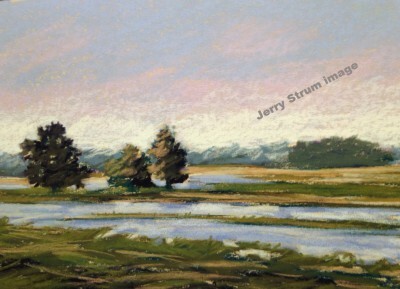 Numerous classes and workshops over the years helped me find a medium and style that worked for me. My first class was an oil painting class in high school, a drawing class at the University of Delaware, and oil classes at the Center for Creative Arts (in the Ed Loper style). I switched to acylics as I liked the fast drying properties and its somewhat forgiving nature. I loved watercolors (other people’s, not mine) so I took a couple of watercolor classes which were helpful, but continued to paint mainly with acrylics. 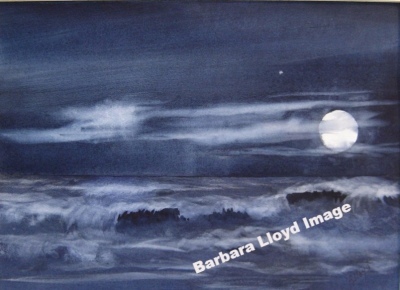 In 2008, I joined the Cape Artists in Lewes, one of the first people there who was not a water colorist. I had studio space in Rehoboth in Paintiques Gallery where I painted and exhibited. We moved back to New Castle County in 2013 to be closer to kids and grandkids. I continued to show some of my work in Sussex County the at the Brush Factory in Lewes and also hung some pieces in The Mercantile in Milton. We loved living closer to family but we found our hearts were wed to Sussex County and its mix of natural beauty — beaches, marshes, farmland and its active art community. We have recently moved back to Sussex and are enjoying the people and the pace! making junk journals and creating all occasion greeting cards. on ceramic tiles, paper abstract collages, etc. the Ocean City Art League. Her work is displayed at each of these venues. Ginny also teaches at each of these art guilds, leagues. Architects and as a science teacher for Cape Henlopen School District. Mary Whyte, Charles Reid, and Janet Rogers. where I met my husband, John Caudell. My focus for 30 years has been in the area of artwork on furniture. connected through the Milton Art Guild. Smithsonian galleries, the National Zoo, the Arboretum and Rock Creek Park. That is where a love of nature and my inspiration for art making began. medium for me…a new way to express my art. my love of birds, animals, and Delmarva landscapes. years ago I took a water color class and now have tried some acrylics. will help me improve and grow in my painting. I find it very relaxing. 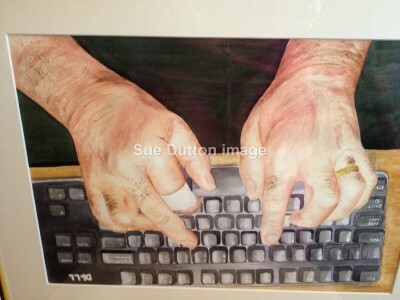 After retiring from the education field, Sue has embraced many forms of art in both the fine and fun art genres. 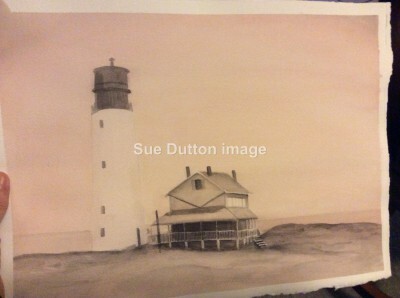 Primarily working in watercolor, Sue has also done work with charcoal, acrylic, and graphite. She is also starting to explore other media as well. 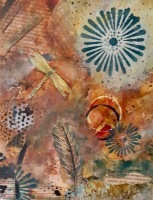 mixed media and creating a work with a loose look often inspired by nature. and am a member of Milton Arts Guild and Rehoboth Beach Art League. I tell people, "I am a retired teacher who has gone to pot." Actually I was interested in making pottery as a young child when I made fragrant mud pies with my great aunt's discarded spices and later noticed that I could make air dried pots out of wet clay left behind at a building site. 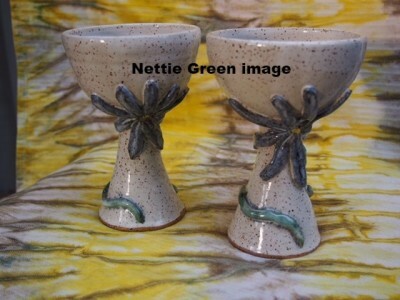 Coming from the Appalachian mountains, I was inspired with what I observed potters making. 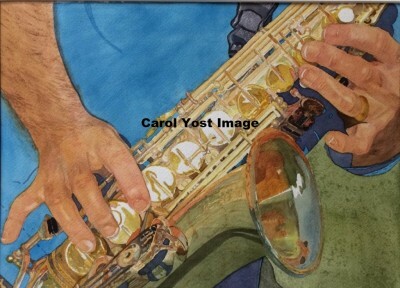 So now that I have the time to play, I've learned much from colleagues at Rehoboth Art League and in other workshops. I've taught several children's classes. Most of my whimsical, beautiful and practical pottery is done in my garage. The forest, the wetlands, and the ocean give me ideas. Making pots is timeless joy for me. and because of her expertise has won numerous awards of achievement. location photo shoots as well as photojournalism. Honorable Mention in a Miniature Show. 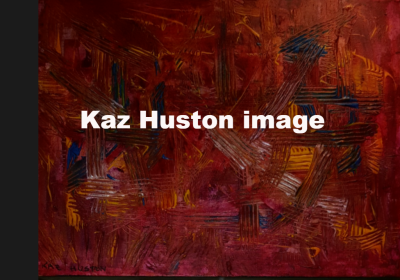 Kaz pursued the Arts after 30 years’ experience building a broad-based business career in Fortune companies and consulting to business, industry, government, academia, and nonprofits. Kaz has a Masters and Doctorate in Education from Temple University specializing in Learning Systems and Organization Development. Further qualifications include post-doctoral education in Gestalt Organizational Systems & Development, Consulting and Intervening with Groups to assist executives and work groups for improved working relationships and performance. Kaz has served on Boards in Writing, Music and the Arts, concentrating her expertise in Organization Development, Education and Governance. 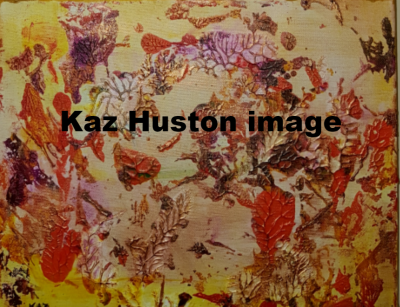 Kaz’s expertise can be applied to the Arts by teaching Artists to be more creative, prolific, and knowledgeable about their Art and explore new terrain. one who gave me this talent. All I want to do is give the glory to Him. in Him we are alive in His Glory. I am the Events Director for the Milton Art Guild. Dr. Koehler has been a part-time college professor in New Jersey and lectured on various subjects throughout the United States. He is retired from government service and private employment. He lives with his wife at the beach on the eastern shore of Maryland. San Francisco Bay. Today, his hobbies include sailing, snorkeling, skiing, and tennis. Dr. Koehler and his wife travel frequently throughout the United States, Mexico, and the Caribbean islands. with a degree in Art Education and taught art in Wilmington public schools. In 1972 she relocated to Albuquerque, New Mexico, living there for 10 ½ years, surrounded by the art of Santa Fe, Taos, and other areas of the southwest. freelance art, painted, and took art therapy courses in a graduate program. 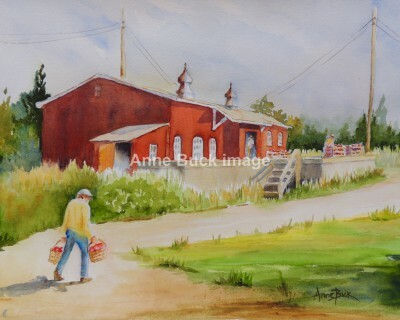 After returning to Delaware she pursued watercolor as her medium, after taking some workshops. 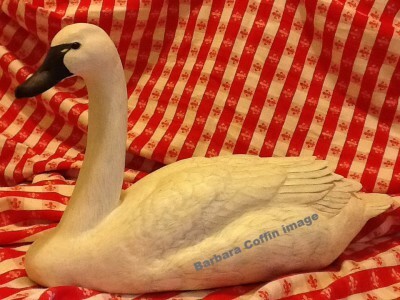 Barbara enjoys painting in other locales for variety. She has been leading painting and sketching trips to various areas of Italy, France, and New Mexico. 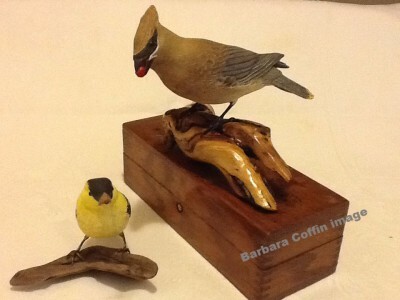 Barbara is an award winning artist residing in Milton, Delaware. 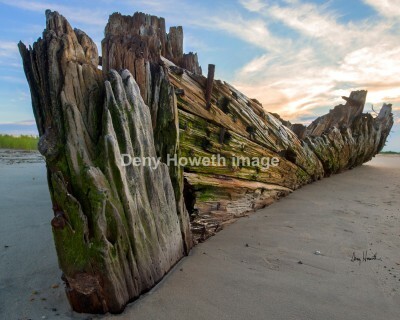 She exhibits in a number of restaurants in Lewes and Dewey Beach plus galleries in the resort areas. 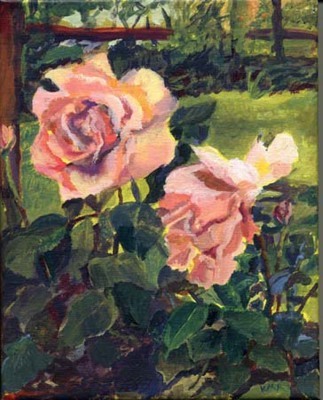 Her paintings were featured on the 2003 and 2007 covers of the Lewes Visitors Guides and the 2012 cover for the Lewes Historical Society’s Christmas House tour booklet. Lorelei is a self-taught mosaic artist who spent half of her high school years in Rome, Italy. While there, she grew to appreciate this ancient art form. In retirement, she pursued her love of mosaics. 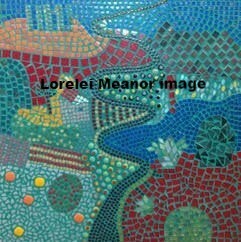 Lorelei now produces contemporary mosaics full of color and movement for home and garden. She received the “By Dam” award at the 2015 Rehoboth Art League Fine Craft Exhibition and received Honorable Mention for her mosaic landscape from the Biggs Museum. She also completed the restoration of “Birds of the Sea” for RAL which is now in their permanent collection. Lorelei is a member of National Society of Mosaic Artists. 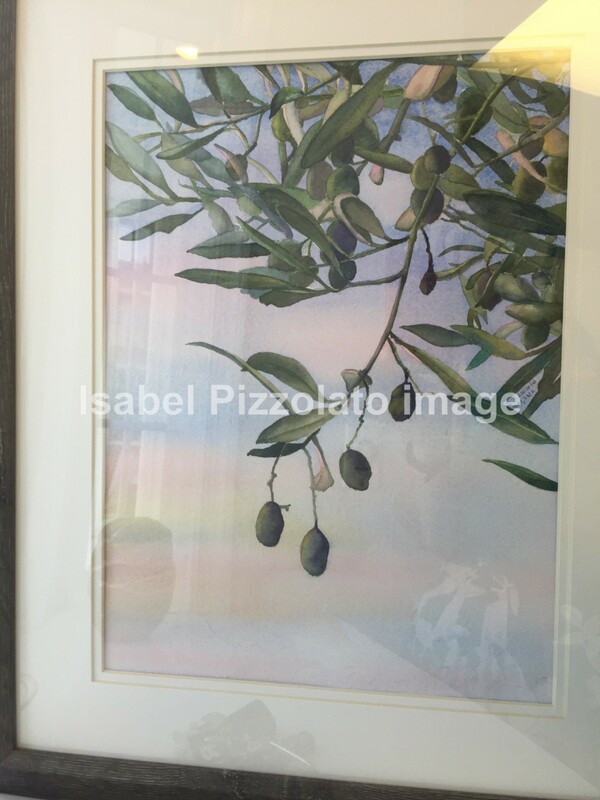 Elizabeth (Liz) Miceli has been interested is art since early adulthood. Liz discovered digital photography and the ability to edit them to enhance the artistic look she desires. 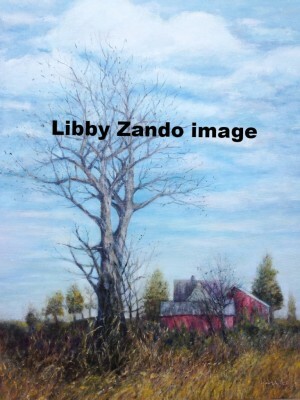 In 2008, Liz joined a watercolor class and has been painting ever since. 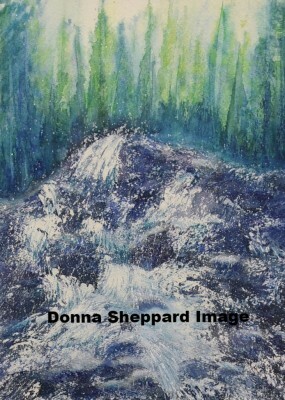 She expanded her mediums to include oil, acrylic and pastel. Liz has studied under several professional artist to improve her craft. Her work appears in commercial and private collections. She resides in Rehoboth Beach, DE. Retired from 40 years in Pennsylvania education, Lou Ann most recently worked for the University of Delaware. 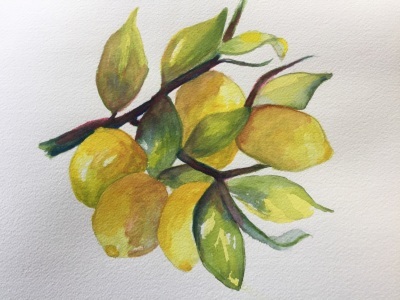 While taking a watercolor class a few years ago, she fell in love with the medium and has been enjoying it ever since. "The best part of painting is that I have no boss but the paper and paint itself." 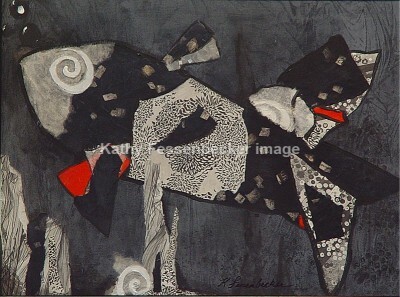 Her other art interest is the traditional German folk painting as seen on blanket chests and fraktur. 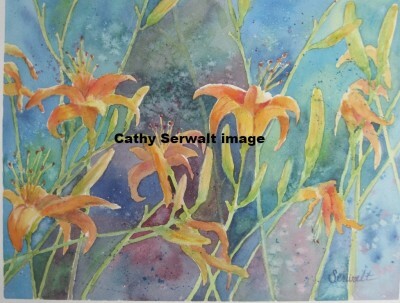 She is a member of Atlantic Visual Arts, Lancaster County Art Association and Milton Arts Guild, where she is secretary. Off the Loom for Delaware Technical Community College. 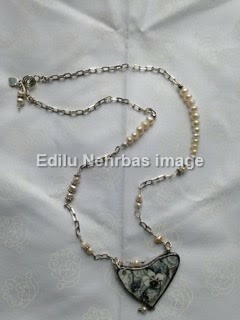 Her mediums include Watercolor and Jewelry Making. conditions to evoke particular feelings and moods of a scene. He paints on location as well as from his photo references. because of the luminous qualities of the paint. painting. 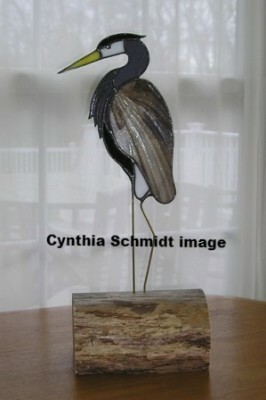 He is represented by the Peninsula Gallery in Lewes DE. I ventured into watercolor after retiring to Delaware in 2007.
mastering stroke work, thinking I would like to teach this art form. 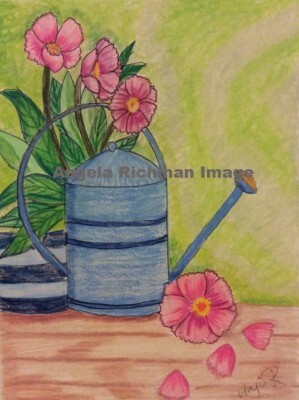 My first venture into watercolor was through the Rehoboth Art League. to each other and flow over the surface of the paper. about light and color through painting. attends numerous workshops taught by award-winning artists. Art League of Ocean City, Pennsula Gallery, and Rehoboth Art League. Her works are also displayed in corporations and in private homes. watercolors, acrylics, and collages all include vivid hues. in abstracts, they take me to another place and time,” Rita remarks. 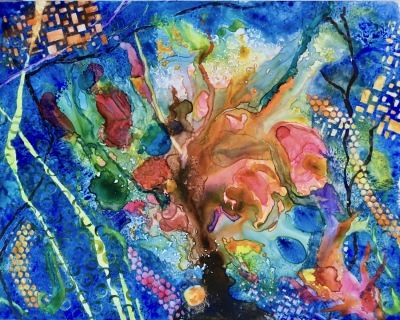 Rita works in her studio in Rehoboth Beach and in her home in Key West. 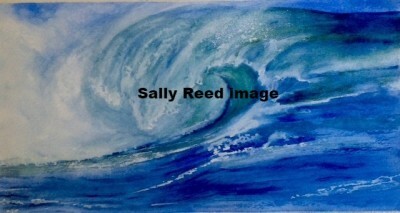 Sally Reed is a watercolor artist, but loves exposure and experimentation with all art. Retiring from the telecommunications business after 30 years, she had the time to indulge in her lifelong interest in creating art. Building on Art classes taken while attending the University of Delaware, she expanded her knowledge of art through local classes and workshops with leading American artists in water media to include Janet Rogers, Chica Brunsvold, Sarah Yoeman, Brenda Kidera, Walt Bartman, Rachel Collins, Annie Strack and more. 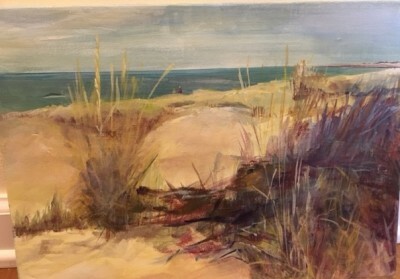 Sally Reed's art has been exhibited at Milton Art Guild, Rehoboth Art League, The Biggs Museum of Art, Nassau Winery, Rehoboth Beach Yacht and Country Club, Wilmington College, The Buttery, as well as many private collections throughout the states. 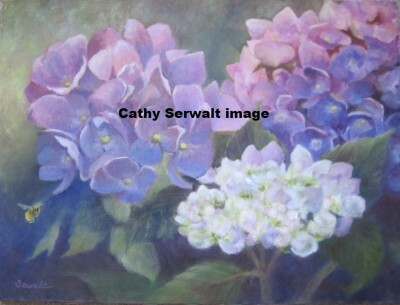 Sally enjoys painting all themes, including landscapes, buildings and homes, pet portraits, and florals. the late 90's moved to digital photography. 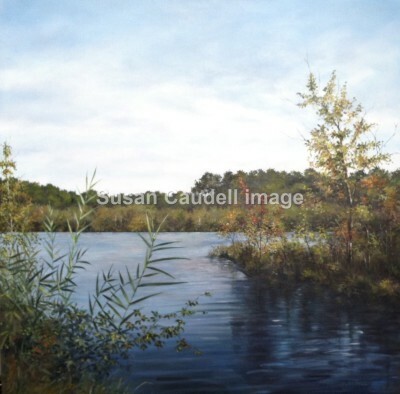 Her work includes portraits, landscapes, and all works of nature. You can have your portraits taken at her studio on Prettyman Road. Last summer, sitting on the beach at Gordon's Pond, I was blown away by the beauty of it, so I took a photo and with some coloring pencils did my first drawing. I really enjoyed it and have been drawing ever since. My background is in fashion, I went to the London College of Fashion and have a Diploma in Art and Design. I worked in the fashion industry as a designer and pattern cutter for mass markets. I then had my own business creating hand made wedding and evening dresses until I moved to the USA in 1995 with my husband. My style isn't conventional, more like naive art. Being a trained fashion designer is very different to painting pictures! Trained as an architect, I have been involved in the arts all of my life. Sketching was always an integral part of my 30 year career in Washington, DC where I focused on commercial architectural design. 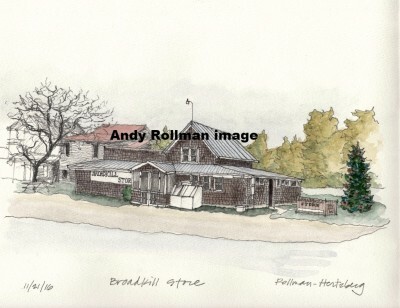 I’ve now retired to Broadkill Beach with my husband Andrew and I’m able to spend more time sketching. I’ve used watercolor in some of my sketches and I look forward to evolving into other mediums. I’ve been a resident of Delaware and the Mid Atlantic area since my teens. Art in many different mediums has always been a strong interest of mine, and I like to dabble in several – variety is the spice of life! 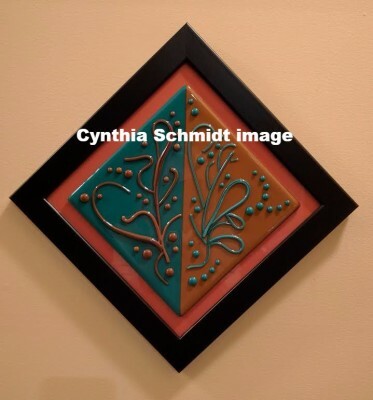 I started concentrating on stained glass and mosaic in the early 90s, and branched out to include fused and kiln-worked glass during the past decade. I enjoy my job as a Medical Laboratory Technician at Beebe Healthcare’s main campus in Lewes, but do look forward to the time when retirement will enable me to spend more hours in my home studio. I’ve completed several originally designed commission pieces that were met with glowing reviews and feel I’ve taken the leap from hobbyist to artist. My love for art started as a kid. But it’s only been in recent years that I’ve been able to really delve into the many facets of painting. I am basically self taught, with the help of workshops, books and DVDs. I started painting in oils many years ago when my children were young. There was a long "no art" time while I was raising kids and working full time. My husband, Jerry (my framer), and I moved to Delaware from South Jersey in 2004, just about the time Mispillion Art League was starting. I joined the group in 2008, retired from my job at Delaware Veterans Home in 2010 and quickly became a member of their Board and Chairman of the Exhibits Committee for about 4 yrs. The challenge of painting in watercolor grabbed me about 10 years ago and I’ve enjoyed learning all the wonderful and unique techniques associated with that medium. But, a few years ago, I joined the Plein Air Painters of the Mid Atlantic, and found that oils work best for me while painting outdoors. Now I switch back and forth between oil and watercolor, enjoying the many differences in the two mediums. There is so much to learn when it comes to art, I know I will never stop learning and will never be bored. 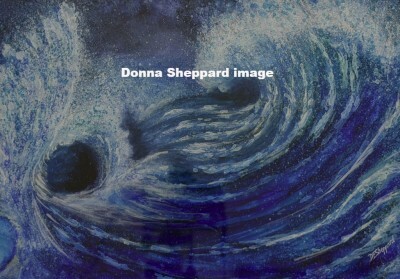 My work is owned by collectors in Illinois, Pennsylvania, New Jersey, Connecticut, California and Delaware. I belong to the Mispillion Art League, The Painting Divas, Milton Art Guild and Plein Air Painters of the Mid-Atlantic. I have always loved watercolor for their transparency and luminosity. Six years ago I took my first class and have truly enjoyed a creative journey exploring the many aspects of watercolor. I have taken workshops with renowned artists and have been fortunate to become close friends with local artists who have inspired and encouraged me. I find watercolor holds many mysteries and surprises whenever I apply paint to paper. It’s such a joy to discover new techniques that lead to fun and exciting outcomes. Currently I’m painting less detail in a more loose atmospheric technique. By using a lot of water and mixing colors on the paper I’ve discovered incredible color combinations and effects. 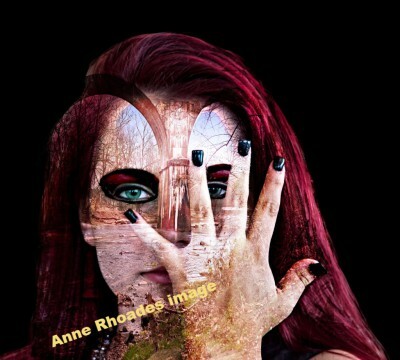 My goal is to capture the essence of my subject letting the viewer interpret and finish the story I created. Since painting I’ve become more appreciative of the world around me especially sunsets, flowers and trees. My paintings have been displayed at the Biggs Museum in Dover, Rehoboth Art League and local shows including Nassau Vineyard, The Milton Art Guild. I'm also Gallery Manager at MAG. Contact Donna F. Sheppard at [email protected] . 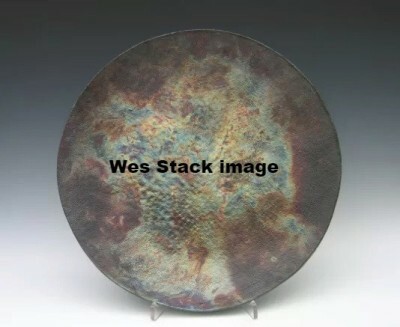 Wes Stack is a potter and ceramic sculptor who works from his studio on Cave Neck Rd. near Milton. He produces both functional stoneware as well as abstract sculpture. All of his work expresses his interest in form, surface and light. His primary method of production is using the pottery wheel to create forms, although this is supplemented with other “making” methods. Much of the appearance of his finished work results from his use of custom made glazes, textured finishes and attention to form. 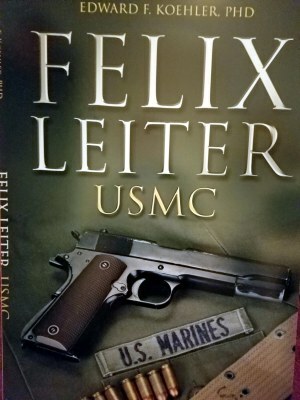 He delights in pursuing experiments in extending forming techniques and surface decoration, all of which involve risk and chance and change. His goals are, in short, to push the boundaries of where he is to where the work will lead him. His work can be found at Gallery One in Ocean View, DE; the Rehoboth Art League Gallery, the Biggs Museum, and the Milton Art Guild Gallery. he returned to his passion for art. Nick Serratore and Stan Sperlak. and the YMCA. He lives in Rehoboth. 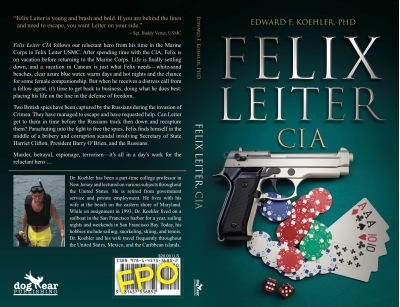 Contact at [email protected] . Carol Yost counts art as a constant in her life. 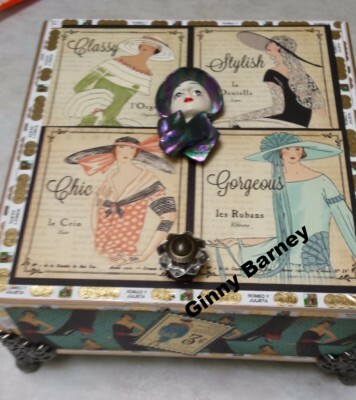 She works to improve and innovate her style taking classes and workshops, all to stretch herself with new challenges. Her watercolors have been displayed in Juried and non-juried shows throughout Delaware over the years. More recently, her work has be included in shows at Rehoboth Art League, Mispillion Art League, Milton Arts Guild, Peninsula Gallery, and the Biggs Museum. “It’s a thrill to make a juried show,” Carol says, “If one sells, well that’s just icing on the cake.” Carol has recently received two Honorable Mention awards for her artwork. 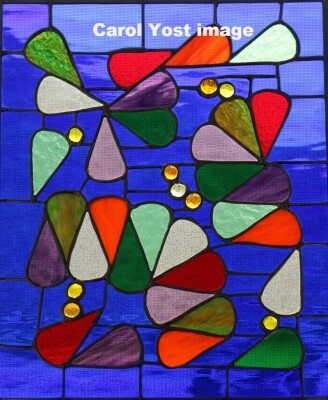 Carol extends her artistic endeavors to stained glass and fused glass artworks. She creates both paintings and glasswork in her studio. 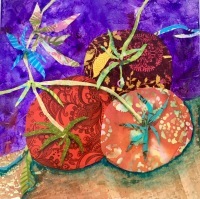 Carol is a member of Mispillion Art League and Milton Arts Guild.